Your rubbish can tell a lot about you, and for obvious reasons, most of us would really rather that it didn’t! ‘Bin diving’ – rummaging through waste to harvest personal and financial information – is a well know ploy used by fraudsters and identity thieves and while most of us nowadays are wise to their tricks and watch what we simply throw away, we can still make it surprisingly easy for them when we recycle. 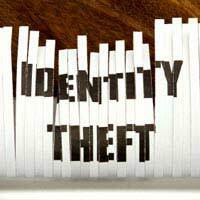 Today, with so many people screaming about the threat of ID theft and scams lurking behind every lamppost, we can all be forgiven for feeling a little paranoid – though it is undoubtedly true that there are some distinctly suspect characters around. Avoiding the dangers, while still living your life and doing your bit for the environment, really only calls for a little common sense and some sensible precautions; it’s all about getting the balance right and knowing where to look, to see any potential trouble coming! Of course, we all know not to put bank statements, credit card slips and the like into the waste without shredding them – using a cross-cut shredder, naturally – but what about when it comes to ‘safe’ bits of paper for recycling? It can be worth taking a minute or two to check just how much even they could be saying about you. You might be surprised. The rise of ‘personalised’ junk mail – the "Dear Mr X" or "Mrs Y” stuff that pours unbidden through your letterbox – is a prime example. They may be innocent enough in themselves, but if they’ve been generated by a company in respect of something you’ve purchased, do you want the world to know? Do they carry an account number, your name and address, or other personal information about you? Customer numbers, membership cards, enquiry references – they’re so much a feature of modern life that we hardly give them a second glance, but before you just add papers emblazoned with them to the recycling pile, ask yourself could they be useful in the hands of a resourceful villain? In the end, it largely depends on how secure – or paranoid – you want to be; you can, after all shred everything if you like, or just chuck it all into the recycling bin, but at least you’ll have made a conscious decision. We're all pretty clued up about internet security these days too. We can spot the spam emails offering those little blue pills and other equally dodgy pharmaceuticals, we know about the Nigerian generals and all the money they want to share with us and we’re all well aware that today’s Trojans have nothing to do with ancient Greece! Between our firewalls and our security software, we clearly aren’t phish to be phished for online – but offline? Well, that can sometimes be a different story, and often for the very best of intentions. Recycling PCs, mobile ‘phones, PDAs and the like which are outdated or unwanted, but still functional, is a great way to allow people across the world who otherwise couldn’t, to share in the whole information revolution – but make sure you only share the boxes, not the data! Studies have shown that in some cases almost 80 per cent of such systems consigned for recycling by well-meaning owners arrived still containing personal information that could be accessed either immediately, or with very little effort. It’s important to understand that simply hitting ‘delete’ and then emptying the PC’s recycling bin may make it impossible for most average users to reclaim their data – but it’s most definitely still there! Use proper disk wiping software, have your machine professionally wiped, or take the hard drive out and smash it up with a hammer – but never, ever, send it off with all its data still intact. Pretty please, just don’t ! It all sounds fairly alarming, and in some ways it is, but it’s worth remembering that current government estimates indicate that it’s not quite so common as some of the earlier scare-mongering statistics being bandied about might suggest. That’s obviously of little consolation if you yourself do become a victim, however, so take sensible precautions and be watchful, but, as they say at the end of that well known TV real-crime programme, don’t have nightmares!